When I started this journal, quilting was just about the only creative hobby I was really pursuing. 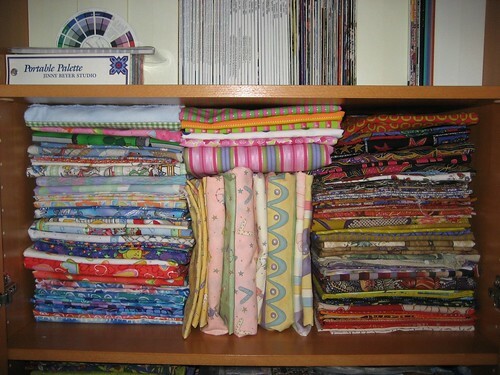 Looking back at the archives, I finished seven quilting projects in the first twelve months I wrote here. My, how times change. In the last twelve months, I’ve finished two quilts, up from zero the year before. I have worked on some group projects with the ladies at the office over the last several years but haven’t been the driving force behind any of those. I last bought fabric in August and can’t remember the time before that. I didn’t even renew my membership to the quilt guild this year after missing half the meetings last year. It’s partly a matter of choosing to do other things with my non-work time and partly a matter of not being excited about the projects I put at the top of my quilting to do list (but felt I couldn’t skip past for various reasons). The top for one of those obligation quilts has been pinned to my felt wall for months now, and I just haven’t been able to muster any enthusiasm for moving forward on it. Soon, possibly tonight, I am going to take that down and give myself permission to work on the things I am excited about now: baby quilts for two of my nieces who are expecting daughters. The fabric I bought in August is for these quilts; my mom helped me pick it out when she and I went to a quilt shop in Idaho when we were out there. It’s too late for me to finish both quilts before the first baby is born next month (or possibly very late this month), but I have a chance at getting them done before the second is due in March. On this date in 2010: Without Mountains, What’s the Point?